It is Tax season. Have you filed your taxes yet? I haven’t BUT it’s on my “to do list” this weekend. Here is some helpful information on qualifying for tax benefits from our friends at Breedlove and Associates. TLC For Kids has been referring our clients to Breedlove and Associates for many years. 1) Dependent Care Flexible Spending Account. Many companies offer their employees the option to set aside up to $5,000 of their pre-tax earnings into a Dependent Care Account to pay for childcare expenses. This means there is no federal or state income tax, Social Security tax or Medicare tax on $5,000 of either you or your spouse’s income. Depending on your state and your tax bracket, this deduction will save you anywhere from $2,000 to $2,300 per year. 2) Child Care Tax Credit. If you don’t have access to a Dependent Care Account, you can claim the Tax Credit for Child or Dependent Care (IRS Form 2441) on your federal income tax return at year end. If you have one child, you can save up to $600 per year (20% on up to $3,000 in childcare expenses). If you have two or more children, your savings will be up to $1,200 per year (20% on up to $6,000 in childcare expenses). Great News! If you have two or more children under the age of 13, you can use a combination of these two tax breaks in order to achieve a maximum of $2,500 in tax savings. For many families, the tax breaks will offset a large portion of the employer tax costs. This is especially true for those employing someone on a part-time, seasonal or NannyShare basis. For a more fine-tuned estimate of how much your family can save from tax breaks, use the free Nanny Tax Calculator. Whether you’re becoming a mom for the first time or the fourth, the days and weeks immediately following your baby’s birth can be as overwhelming as they are joyful and exciting. TLC For Kids’ Newborn Specialists can help. Many women experience major mood shifts after childbirth, ranging from brief, mild baby blues to the longer-lasting, deeper clinical depression known as postpartum depression. These emotional surges are believed to be a natural effect of the hormone shifts that occur with pregnancy and childbirth. Levels of estrogen and progesterone that increased during pregnancy drop suddenly after delivery, and this can affect mood. These female hormones return to their pre-pregnancy levels within a week or so. As hormone levels normalize, baby blues usually resolve on their own without medical treatment. For some women, the feelings of sadness or exhaustion run deeper and last longer than baby blues. If baby blues linger longer than a week or two, talk to your doctor to discuss whether postpartum depression may be the cause of your emotional lows. Postpartum depression usually begins 2 to 3 weeks after giving birth, but can start any time during the first few days, weeks, or months post-delivery. A woman with postpartum depression may feel sad, tearful, despairing, discouraged, hopeless, worthless, or alone. A new mom suffering postpartum depression may also have trouble concentrating or completing routine tasks. She may feel indifferent to her baby or not feel attached or bonded. TLC For Kids’ Newborn Specialists help new moms adjust to life after birth. They are trained to recognize the signs of postpartum depression and will assist mom in her recovery. Postpartum depression can last for several months or even longer if it goes untreated. With proper treatment, a woman can feel like herself again. Treatment may include talk therapy, medication, or both. In addition, proper diet, exercise, rest, and social support can be very helpful. Like all forms of depression, postpartum depression creates a cloud of negative feelings over a new mom. With the right treatment and support the cloud can be lifted. 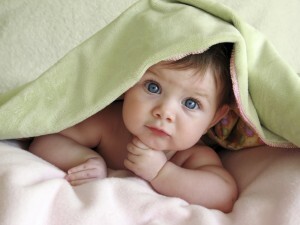 To learn more about TLC For Kids’ Newborn Programs, please visit our website at tlcforkids.com. Thank you to Kidshealth.org for the information on postpartum depression. What is a Baby Nurse? What is a baby nurse? Is a baby nurse an actual RN? Baby nurses are non medical newborn care specialists. They have years of experience caring for newborns. Baby nurses may have training and have attended classes on newborn care but are not registered nurses. In 2006 it was clarified that the term baby nurse could only be used for medically trained nurses. Nanny agencies now use the term Newborn Care Specialists. Bringing a baby home can be overwhelming for any parent. A Newborn Specialist will come into your home during your babies first weeks to help and support you. She can help with bathing, changing, feeding, burping, swaddling and establishing sleep patterns for your newborn. She can also help with simple household chores like loading the dishwasher, throwing in a load of laundry, or going to the grocery store. Remember baby nurses have been working with newborns for years and are happy to help you take care of your little one! Often times Newborn Specialists work overnight. These specialists used to be called night nurses, and take care of the baby through the night so mom and dad can get some much needed rest. If you choose to breastfeed, the Newborn Specialist will bring you the baby to nurse and tend to the baby until it’s time to nurse again. TLC For Kids has been providing Newborn Specialists in St. Louis for 15 years. Each of our baby nurses or newborn specialists has been screened by our office. We also provide an in-house newborn training given by a neonatal nurse. To reserve a TLC Newborn Specialist visit our website or call Angela at 314-725-5660. St. Louis Night Nannies, Newborn Care Specialists, and Postpartum Doulas. Sherri S: Sherri has been a newborn care provider with TLC for Kids since 2013 and quickly became one of our most requested newborn care specialist in the St. Louis area. Sherri has completed the Certified Newborn Care Specialist course and is Certified in CPR and First Aid. Sherri is also trained and has experience working with multiples. One of Sherri’s references said this about her “Sherri has the perfect personality to work as a newborn nanny, she is courteous, cheerful, and compassionate. Sherri was very friendly, easy to talk to and was a blessing to our family”. Michelle D: Michelle has been with TLC for Kids since 2013 and has become a coveted newborn care provider for our TLC families looking for overnight. Michelle 16 years of experience in nurturing children. She has formerly owned and operated a daycare center in for children ages 2-5. Michelle has already worked and made a huge impact on several families in St. Louis providing newborn care. One of Michelle’s references said this about her: “Michelle's interaction with my baby was excellent. She was kind, warm. and jovial. I would absolutely recommend Michelle as a newborn nanny. Lisa S: Lisa became certified as a newborn care specialist in August of 2017, since then she has been an intricate part of our newborn care team and is one of our most requested night nurses. Lisa has experience working with premies and multiples and has been described as the baby whisperer. Lisa has a calm professional manner that parents trust. Lisa loves to take care of newborns while the parents get the rest and downtime that they need and meeting the needs of the baby. She enjoys meeting great families and building bonds with each one of the families for life. Miami-Dade Night Nannies, Newborn Care Specialists, and Postpartum Doulas. Midtown, Brickell, Miami Beach Night Nannies, Newborn Care Specialists, and Postpartum Doulas. Amber C: Amber is a Certified Birth and Postpartum Doula as well as a mother of 2. She is committed to educating parents and helping them with the transition into parenthood. She is a strong advocate of parent-infant bonding and will support mothers in breastfeeding. Gloria B: Gloria’s calling is working with babies and their parents. Gloria has over 15 years of expertise as an Infant Care Specialist. She has extensive experience caring for infants and toddlers, including multiples and preemies. She also has experience in sleep coaching, lactation education, and is fluent in English, Spanish, and American sign Language. Maria: Maria is one of our most requested night nannies on Miami Beach. While she loves working with children of all ages, she has a special place in her heart for assisting families with their new babies. It is her goal to give parents the help they need so that they can rest and recover. She is bilingual speaking both English and Spanish. She also has experience working with multiples. Georgia Nannies, Sitters, and Caregivers: Atlanta, Buckhead, Decatur, Brookhaven, Vinings, Roswell, Alpharetta and Marietta. Missouri Nannies, Sitters, and Caregivers: St. Louis, Clayton, Ladue, Central West End, West County, University City and St. Charles. Central and North Florida Nannies, Sitters, and Caregivers: Tampa, Orlando and Jacksonville.